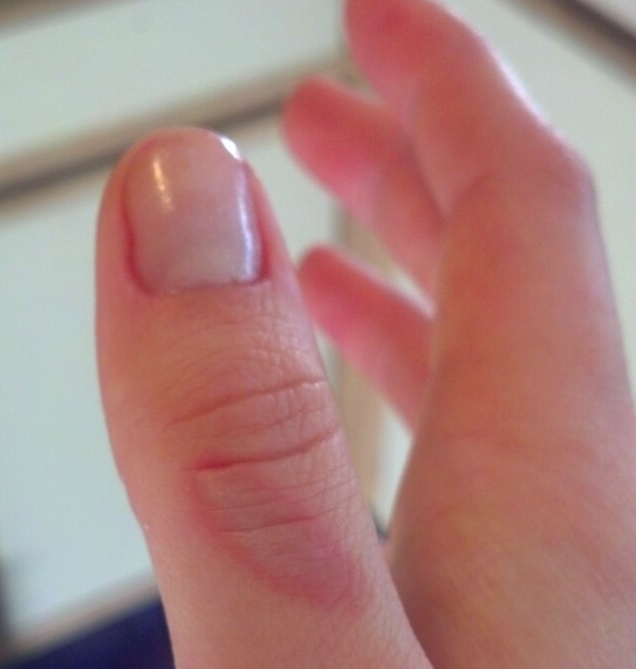 Let’s face it…we all get burns while working in the kitchen! I did last night…that is my poor thumb right there. But what I am about to tell you is going to save you a lot of blisters and therefore a lot of pain and trouble. We (most of us) love to eat them and I know that I, personally, always have them in the house. But what I bet 95% of you don’t know is that cutting a slice of tomato and putting it on your burn right after it happens, and allowing the juice to dry on the burn itself, will not only help it feel better but will also COMPLETELY PREVENT IT FROM BLISTERING!!!! The naturally-occurring antioxidant, lycopene, in tomatoes is what soothes the pain of burns, as well as prevents blistering. 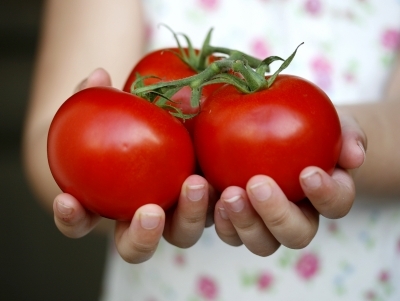 Eating tomatoes and other foods with lycopene, as well as beta-carotine, can help treat sunburns. High in fiber…and most Americans do not eat enough of it! High in potassium, which plays an important role in transmission of nerve signals, fluid balance in the body and many other important chemical reactions. Potassium is used to treat high blood pressure, insulin resistance, chronic fatigue syndrome, muscle weakness, and even bloating and intestinal disorders. Tomatoes are powerful blood purifiers and help clear up urinary tract infections. They have antioxidant properties as they are high sources of vitamin C and vitamin A. The Vitamin A especially wards off macular degeneration and improves eyesight. A person who drinks 8 ounces of low sodium tomatojuice a day, can prevent inflammatory diseases like osteoporosis and Alzheimer’s. They are good for improving skin porosity and are widely used in the manufacture of skin care and beauty products. Eating tomatoes, especially in synergy with broccoli, has been shown to drastically lower the chances of prostate cancer. Basically….Eat lots of tomatoes and use them to treat burns.